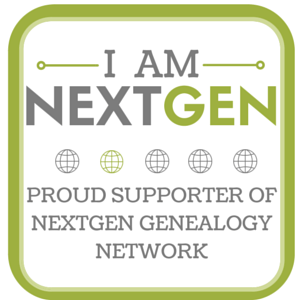 Many of you that are heavily active in genealogy undoubtedly have seen the movement started by Thomas MacEntee, Genealogy Do-Over. While I would love to undertake such an effort, I simply lack the time. That being said, my genealogy research started over 15 years ago and it would be to my benefit to take a look at some of the documents and research that got me started in genealogy. Many know that were it not for the research of my Aunt Hazel (Wheeler, Hazel b. 22 Mar 1892; d. 17 Nov 1985) it is unlikely that I would have gotten involved in genealogy. This week I was working with the McHenry County Illinois Genealogical Society (MCIGS) to teach a great group of teens about genealogy. While going through my records I came across the document that started my interest which was created by my Aunt Hazel. The information on the document is very basic. However, keep into consideration that this was my first source when I started genealogy when books like Evidence Explained by Elizabeth Shown Mills didn’t exist so my citation of this source was less than perfect. Also, when I first started I was interested primarily in vitals (birth, marriage, death) and didn’t include some of the other information in the document. I also had a few mistakes which I was able to correct. I started 52 weeks in 2014 with the best of intentions and then… life happens. While I can’t commit to regularly posting every week, I can commit to posting more regularly. Lots to talk about! Happy New Year and stay tuned!